Drive Recruitment utilizes actual data and machine-learning to attract, engage and convert candidates. Attract a larger pool & better matching talent in an automated way. Automate and improve your recruitment process. Employer branding campaigns and smart job ads on all digital channels. 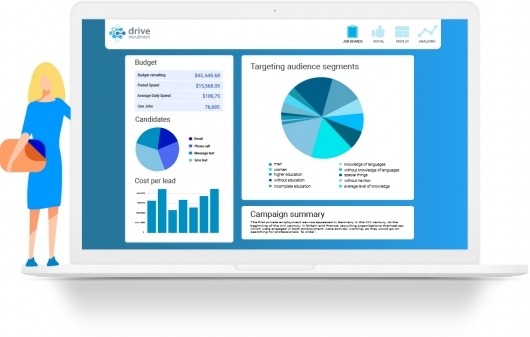 Drive Recruitment utilizes actual data and machine-learning to attract, engage and convert candidates. Tap into a new talentpool in an automated way. 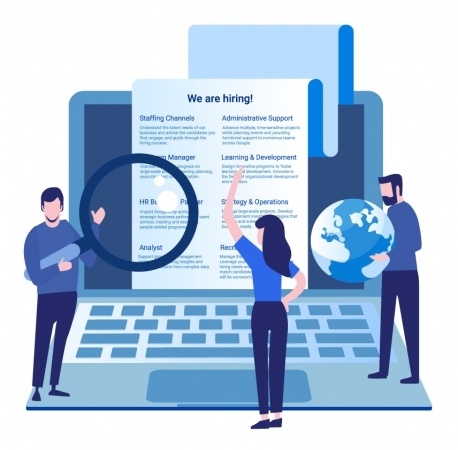 Our proprietary AI technology takes data-driven decisions to target segmented audiences, accurately learning where and how to find your next applicant. We target both active and passive jobseekers across all relevant digital media channels in each phase of the recruitment funnel. Flipping the conventional way of hiring! Our job ad builder, customizes your job-ad creatives for all ad formats. We are using automated A/B testing to find the best performing combination for your business. Your employer branding campaigns or job-ads will automatically be optimized on the highest performing set of ad creatives. Your ad will be distributed across all social media channels, jobboards, google adwords and relevant websites. We have access to 95% of the internet population, covering all EU markets. Our system learns where in the journey your potential new employee resides. 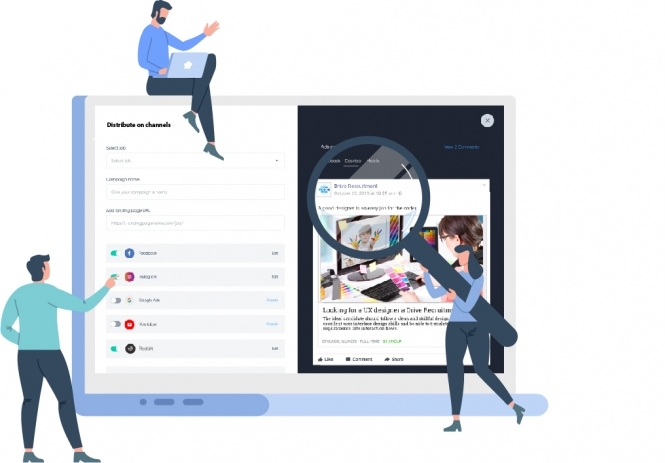 It then calculates the likelihood for converting on a particular channel and generates the customized ad format and size with an engaging message, aligned with where the candidate resides in the journey for their next challenge. We turn each recruiter into a marketer! Let the data work for you and learn what works for your organization by using advanced machine- learning and artificial intelligence technology to optimize your campaigns. Improve the overall conversion rate and candidate experience with your custom-made career page. Showing relevant content on a best-in-class UX design. Anonymized on-site engagement data will be fed back into the system. 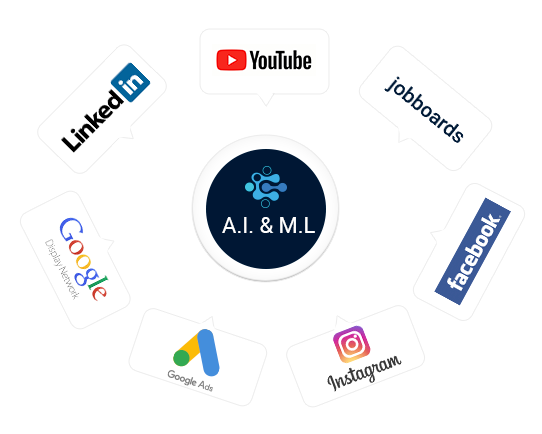 That is where our artificial intelligence technology takes over and enriches your targeting- and look-a-like audiences with new data, getting again a step closer to finding the right candidate. Prior to launching any new recruitment- or employer branding campaign, our system generates an estimation of the expected result based on your input and data..
Gain insights during your campaign by a very intuitive personalized dashboard. It allows you to track the actual performance of each channel and to make data-driven decisions with your recruitment marketing budget. It establishes a new framework for handling and protecting the personal data of EU-based residents and is in effect since May 25, 2018. It provides the citizens of the EU greater control over their personal data and assures them that their information is protected. At Drive Recruitment, our entire organization is committed towards ensuring that our own processes are GDPR compliant. Our privacy, security and data storage policies are streamlined with the GDPR goals and objectives. Equally important to us is ensuring that the Drive Recruitment platform is helping your business be GDPR compliant by implementing processes that uphold the underlying principles of GDPR. At Drive Recruitment we are committed to protecting the privacy and security of our customers and below are some of the initiatives we’ve undertaken. Programs, projects, and processes at Drive Recruitment are aligned to Privacy Principles right from the inception of an idea or project, thereby supporting Privacy by Design and Default ATS integrations.